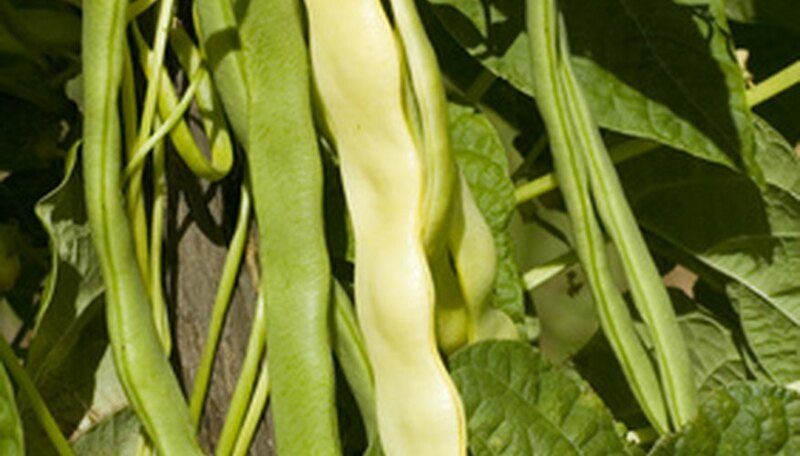 Beans grow quickly in the garden, are reliable producers and add nitrogen back to the soil. Beans like other vegetables thrive in a sunny location. The soil should be well-drained. Amend the soil with compost. Plant bush beans every four weeks for a succession of fresh beans all summer long. Green beans are usually eaten fresh, pod and all, but there are a number of different types of beans that dry well. Use them in bean soups, chilies or as a side dish. Try northern, navy, kidney and garbanzo (chick peas) as well as black-eyed peas. Let the bean pods mature and dry on the plant. Harvest by picking the pods and then removing the beans. Store in a dry place. Find out which types of beans sprout the fastest and why. Soaking beans in water for up to 24 hours gets them germinating more quickly in the garden. Experiment with soaking beans until they actually sprout--you'll see a white tail coming from the bean--rather than for a limited amount of time. Keeping the seeds in a warm place while soaking may speed germination. Test different varieties of beans to see which germinate the quickest. Try lima, black, pole, green, yellow and purple beans. Mung, lentil and garbanzo beans sprout reliably. Soak the beans in water for 24 hours in a glass container. Gently rinse the beans and drain as much water out as possible. Put cheesecloth over the mouth of jar and turn upside down over a plate so the water drains completely out. Continue the rinsing and draining every day until the beans sprout and have a pair of green leaves. Use the beans raw in salads or cooked briefly. Radish and broccoli seeds can be sprouted and eaten this way as well. Check to make sure any beans you use have not been treated with a fungicide. Use the quick sprouting of beans as a science project for grade school children. Poke holes in the bottom of a clear plastic cup. The holes are necessary for water drainage. Fill the cup with fresh potting soil. Push a few beans down the side of the cup so they are visible from the outside. Water well and put in a warm place. Check the bean's progress every few days. The bean will sprout root first and then send up a stem with two leaves. Since the bean is along the side of the clear cup the child should be able to see the progress.